We’re briging you 19 awesome iPhone and iPad apps for a total savings of up to $52 today! 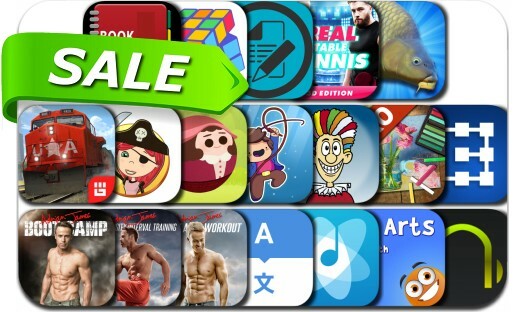 Today’s batch of apps on sale includes Real Table Tennis, Pastello, Carp Fishing Simulator, Last Layer, Cesium Music Player, Nelly Cootalot: The Fowl Fleet, Adrian James High Intensity Interval Training and many others. • Works with your iTunes Library automatically • Polished iOS-style UI, plus Night Mode, landscape, customizable colors and tabs! • Intuitive gesture controls • Powerful sorting options, including Classical Mode • No ads or locked features NOTE: Cesium requires Music.app to be installed.